Share on Facebook! Share on Twitter! Share on Google Plus! 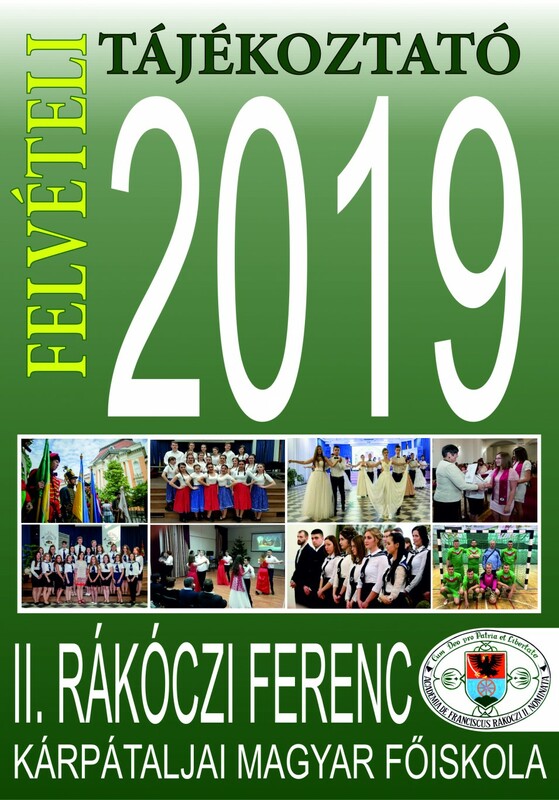 The Transcarpathian Association of Hungarian Pedagogues (TAHP) whose members are all teachers of the educational institutions of Transcarpathia with Hungarian as the language of instruction, has 2754 people. Thus, it is a legitimate collegial body that represents the opinion and stands for protecting the interests of the Hungarian language schools in the region. Members of the Transcarpathian Association of Hungarian Pedagogues are concerned about the possible consequences of introducing the 7th paragraph of the Law “On Education” adopted by the Verkhovna Rada (Parliament of Ukraine) on September 5, 2017. In case of the introduction of the Law, national minorities in Ukraine lose their right to freely choose the language of education as according to the Law, the state language may be the sole language of instruction in state and municipal education institutions. Representatives of national minorities are guaranteed the possibility to receive education in the language of the relevant national minority only in separate classes of municipal educational institutions at the level of preschool and primary education, and only along with the state language. Therefore, persons belonging to national minorities lose their right to receive education in the mother tongue in state and municipal education institutions at all levels including primary, secondary, vocational and higher education. Accordingly, the functioning of educational institutions with national minority language instruction is being threatened by the legislation. the Law of Ukraine “On the Principles of State Language Policy”. Pursuant to Article 9 of the Constitution of Ukraine international treaties in force, consented by the Verkhovna Rada of Ukraine as binding, form part of the national legislation of Ukraine. Article 7 of the Law On Education breaks the Social Contract between Ukraine as a state and national minorities, citizens of Ukraine. The Social Contract was concluded by the state in the “Declaration of the Rights of Nationalities in Ukraine“, adopted by the Verkhovna Rada of Ukraine on November 1, 1991. Governed by the Act of Declaration the Social Contract was approved by a national vote on 1 December 1991 on Ukrainian Independence. Article 2 The Ukrainian state guarantees all nationalities the right to preserve their traditional settlement areas and ensures the existence of national administrative units, assumes the responsibility to create appropriate conditions for the development of all national languages and cultures. Article 3 The Ukrainian state guarantees to all peoples and national groups the right to freely use their native languages in all spheres of public life, including education and production, receipt and dissemination of information. The new Law On Education was adopted when European countries opened their borders to us and introduced a visa-free regime for Ukrainian citizens and when an Association Agreement with the EU entered into force. In the last decades, the use of minority languages in the territories of their residence has been narrowed. Here are just a few examples: the church lyceums, the Transcarpathian Hungarian College, the Hungarian language press and radio, the public organizations have not been supported by the state. The repairs and reconstruction of the state and municipal educational institutions in Transcarpathia is supported mainly by charitable foundations thus directly promoting and assisting the Ukrainian state. The Ukrainian state is now fully withdrawing its support from education in national minority language, since by introducing Ukrainian-language education, it would no longer be necessary to publish textbooks for nationality schools. Although it is true that the state has so far not complied with its obligations in this respect. At the beginning of the 2017-2018 academic year, Hungarian-language schools lacked 28,057 textbooks, of which 3383 were textbooks of Ukrainian language and literature. In 25 years, no workbooks on the subjects taught were issued in Hungarian, no Ukrainian-Hungarian / Hungarian-Ukrainian state-funded school dictionaries were published. However, the fundamental problem is that there is a critical shortage of Alphabet books from which pupils of the first forms should learn to read. As a rule, parents need to make photocopies because the state provides new textbooks only every four years according to the number of children enrolled that particular year. Since four years ago there were fewer schoolchildren in Hungarian language classes, currently there are not enough textbooks and new ones cannot be purchased. Since the introduction of the system of External Independent Testing (EIT) in 2006, the Transcarpathian Association of Hungarian Pedagogues has submitted more than 40 recommended letters to the Ministry of Education in which it made suggestions for improvement of the Ukrainian language teaching. Our suggestions were not taken into account, although they were presented through various forums, at conferences and also published. This is a complete disregard of our interests, needs and professional arguments. Recent events have shown the true attitude of the authorities to Ukrainian minorities. More than sixty-four thousand signatures were collected by the Transcarpathian Hungarians against the adoption of the Education Act and we asked the authorities to consult with us but we have not been heard. As a result of international protests, Ukraine’s Minister of Education has repeatedly pledged to travel to Transcarpathia and to listen to national minorities, but failed to comply with her promise. Although earlier, as an opposition MP, she visited us. This means that the Ukrainian authorities do not want to consult with national minorities of Ukraine, conclude a social contract with them, which is the primary tool for exercising power, and they consider minorities as emigrants. The Ministry of Education does not want to consult with the legitimate representatives of the Hungarian teachers in Transcarpathia, it is not interested in our position. This is evidenced by the fact that the Transcarpathian Association of Hungarian Pedagogues had not received an invitation to consult on the Law held by the Ministry of Education and Science in Kyiv on October 4, 2017, and individuals who had the opportunity to express their own position could not have represented the whole community. Our Assembly has been convened to discuss the situation arising from the adoption of the Law on Education and to inform the Ministry of Education and international institutions about our position, reminding them that when making decisions concerning national minorities, they should also listen.to our opinion. The right of national minorities, including Bulgarians, Moldovans, Russians, Romanians, Slovaks, Hungarians, and others to their mother tongue education follows not only from the current legislation of Ukraine but is also based on practice dating back for decades that minority representatives could have enjoyed earlier within other state formations. Prior to the introduction of the External Independent Testing each national minority school leaver in Transcarpathia had the right to take matriculation examinations in the language of instruction and on the language of instruction enabling them to be admitted to higher education institutions in Transcarpathia. 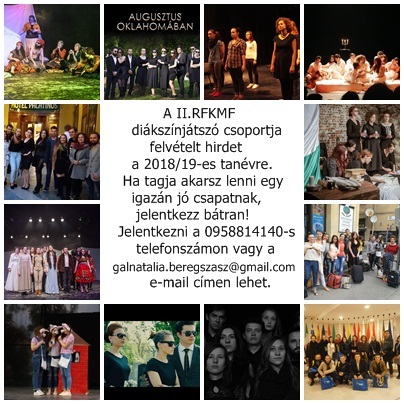 Thus, Ukrainian school leavers did their matriculation examinations on Ukrainian literature, Russian school leavers – on Russian literature, Romanian school leavers – on Romanian literature, and graduates of Hungarian-language schools – on Hungarian literature. Examinations in other subjects could also be taken in the language of instruction. This admission procedure guaranteed the applicants equal opportunities for entry into higher education. The knowledge of the language of instruction was assessed by means of a conversation at the time of admission. The introduction of mandatory Ukrainian languge examination at the level of Ukrainian native speakers led to narrowing of the previously acquired minority rights, which is contradictory to the principle of legal development of minorities and the principle of ensuring equal access to higher education institutions, that is, the principles of the Bologna process. The results of the matriculation examination on Ukrainian language and literature are low in Transcarpathia because the requirements for school leavers of nationality schools are identical to the graduates of Ukrainian-language schools to whom the Ukrainian language is their mother tongue and who have studied all subjects in Ukrainian. Therefore, when compiling tests different requirements should be taken into account to assess pupils’ knowledge of schools with instruction in national minority language. According to the Hague Committee’s suggestion “Persons belonging to national minorities should be provided with higher education in their own language if their claim is expressed and their number is justified” (Item 17). The Framework Convention adopted by the Strasbourg Convention on the Protection of International Minorities states that “The Parties undertake to promote equality of opportunity for persons belonging to national minorities at all levels of education” (Article 12 (3)). Accordingly, we propose to review the requirements of national standards and External Independent Testing for nationality school leavers from Ukrainian language and literature subject for those applicants who do not wish to pursue their studies in Ukrainian philology considering that the Ukrainian language is not their mother tongue. This would allow the principle of equality to be enforced. Ukrainian language skills should be evaluated according to international standards of foreign language quality assessment as it is done at External Independent Testing for assessing knowledge of foreign languages. A differentiated approach at the external independent survey would be desirable for all graduates, since in 108 schools of a total of 234 schools with Ukrainian language instruction, 30% of students did not meet the requirements of independent knowledge assessment in Ukrainian language and literature in 2017, in Transcarpathia. In order to integrate the Hungarian minority into the Ukrainian society (and not into the Ukrainian nation), the pedagogical, social, political aims of teaching of the state language should be harmonized and equal conditions for the development of the languages of the national minorities should be ensured. One element of achieving this goal is the state language knowledge, with regard to the fact that for minorities it is a second language. However, the preservation of the language of minorities is only possible if society guarantees its development and use. It is necessary to be aware of the pedagogical and psychological fact that every person has a first language in which he/she began to talk and in which he/she thinks, communicates with his/her family and immediate surroundings, and any other language is a second languages to him/her. Language is firstly, a means of acquiring knowledge about the world and secondly, a means of communication in society. We, pedagogues of schools with Hungarian as the language of instruction in Transcarpathia, experienced a period when education of certain subjects was introduced in Russian in some Hungarian language schools in the region in the former Soviet Union. In these classes the subject knowledge decreased, as the students did not understand the subject matter, they only crammed it. As a result, the students did not develop their abstract thinking, did not acquire the technique of independent learning since they were unable to independently analyse the material and synthesize information at a higher level. As many crammed words were unknown, neither their Russian proficiency nor their knowledge of the mother tongue developed. Then we agreed with the opinion of the teachers in the Ukrainian language schools since they were also forced to Russian language education. Then we fought together for the right of all children to study in their mother tongue, that is, in their first language, and to provide them with the opportunity to maximally develop their skills and abilities. We are really sorry that our Ukrainian colleagues have forgotten this. guaranteed by Ukrainian laws and international commitments – and to study the state language as a second language. We believe that in this process positive examples of European countries should be taken into account. For instance, in Romania, in schools with national minority language instruction the Romanian language is taught as a second language, that is, with a method other than Romanian for ethnic Romanians. The knowledge of graduates of nationality schools is assessed on the basis of this methodology. Likewise in Serbia, the Serbian language and literature is taught and knowledge of secondary school graduates in the subject tested in a differentiated way. A separate programme and standards apply to those graduates whose mother tongue is Serbian, a special programme and standards are foreseen for those national minorities who speak a language related to Serbian (Croats, Rusyns, Ukrainians) and a completely different programme and standards are used with regard to national minorities whose language is significantly different in structure from the Serbian language, that is, it belongs to a completely different language family (e.g. Albanian and Hungarian). In Slovakia there are also kindergartens, schools and grammar schools where education is conducted in the language of minorities, i.e. Hungarian, German and Ukrainian. In Hungary, German, Slovak, Romanian, Croatian, Bulgarian, Polish and Slovenian schools and gymnasiums run by national minority self-governments operate with public funding. In all schools Hungarian language and literature is compulsory (also on maturity), but these subjects are taught as a foreign language. The rest of the subjects are taught in the language of national minorities for 12 years. There is no Ukrainian-language school in Hungary because the Ukrainians do not live compactly, they are scattered in the country, so there is no need for it. According to the information of the President of the Ukrainian National Minority Government only one child enrolled in the Ukrainian first form in Budapest. However, there are Sunday schools with the organisation and management of the Ukrainian national minority self-government funded entirely by the state. Provide every citizen the opportunity to freely choose the language in which he or she wants to acquire knowledge about the world – as guaranteed by laws and international commitments of Ukraine – and to further maintain the possibility to education in minority languages at all levels. Engage specialists who know both languages in the development of the programmes, standards, methodology and textbooks. Ensure conditions for studying in the mother tongue at all levels of education and allow the External Independent Testing in the mother tongue. Resolve all issues concerning national minorities, involve legitimate representatives of such national minorities.